1) Boil sago beads in a pot till its transparent. Remove from boiling water and soak them in room temperature water to avoid sticking together. 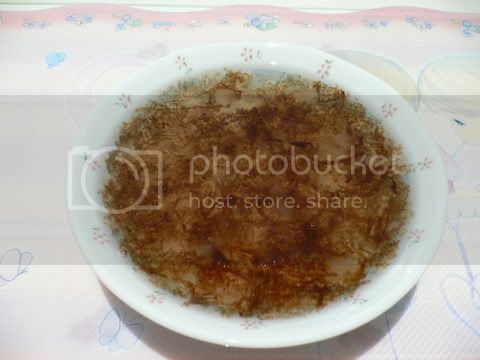 2) Boil water, add in rock sugar to make sugar syrup, throw in Sterculia Seeds and bring it to a boil. 3) Serve and enjoy! Remember to add in sago beads when serving! *The reason of adding in the sago beads when serving is so that the syrup will not turn out to be sticky. **This dessert can be served either hot or chilled.